Purchasing a dedicated monitor for gaming can really boost both your performance and your overall experience, when looking for the best gaming monitor there are a couple of criteria to consider. A dedicated monitor can help you notice minute details in the visuals of games, and it can help you perform better due to instant responses between your input and what shows up on the screen. There are many gaming displays available on the market, but many are simply ordinary ones under the guise of gaming equipment. Thus, you need to be aware of what to keep an eye out for. That is why we have put together this guide and review to help you make an informed decision. 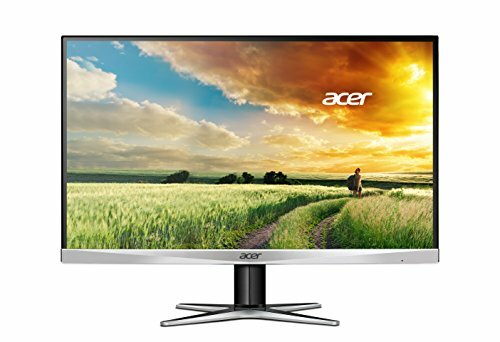 What to look for when choosing a monitor? Conclusion Which is the best? What to look for when choosing the best gaming monitor? The most important part of purchasing a monitor is understanding its resolution. The typical screen qualities that you can purchase are High Definition (HD), Full High Definition (Full HD), and Wide Quad High Definition (WQHD). <sEssentially, these simply refer to the resolution that you will get on the monitor. High Definition display offer around 720p, and the pixels only go up from there. Some displays also have something called In-Plane Switching (IPS). This feature typically adds some price to a product, but it is incredibly useful for gamers. What this means is that you can view the displays from almost any angle without any issue, and it will be just as clear as it would be if you were staring straight into it. Usually, the higher the resolution, the more expensive the monitor, so knowing what you need out of your screen quality can help you budget your purchase. Response time is important when you are a gamer, as you want to have a minimal lag between your input and the visual feedback you receive from your monitor. Response time, in a nutshell, measures how quickly the pixels on a monitor can change from black to white, or from one shade to another. As you can image, this means that a lower response time is more favorable. 5ms is a pretty standard response time for a majority of normal display, although some gaming monitors have 1ms response time for extra-quick feedback. If you purchase an IPS monitor, then you< will need to expect a slightly slower response time – around 4ms – even in a more expensive model. Non-IPS monitors – or twisted nematic field effect (TN) monitors – can be expected to move faster and respond quicker. This is great for improving your performance. For better immersion, you need a gaming display with a great contrast ratio. 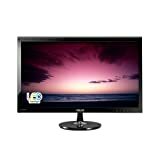 This is essentially defined as the ratio between the brightest color and the darkest color that the monitor can produce. As such, a higher contrast ratio is more desirable, as it will help you in-game areas with low-light, allowing you to see a ton of details in spite of the dark setting. A high contrast ration also allows for sharper and crisper images as well as more vibrant colors, so they can bring your games to life in such a way that you will feel as though you are actually within the game. 8,000,000:1 is a pretty standard contrast ratio that will provide an attractive image, but some gaming displays go up to 50 Million:1 or even 100 Million:1! Any extra features and technology that a gaming monitor utilizes to help improve your gameplay experience are always worth taking note of. Anti-glare, anti-ghosting, anti-smear, and anti-bleeding effects are all fantastic for ensuring a clear, undisturbed picture. LED backlighting is also a pretty cool feature that will allow your displays visual images to appear brighter, clearer, and overall, better. VESA mountable monitors are well-known in the gaming world, as you can install them on a wall for better viewing. Special built-in modes on a display for different situations, as well as buttons for customization, can also help you to get the exact experience that suits your preferences. It is important that you are able to connect your display to numerous devices – like mobile and multimedia devices, other monitors if you want a multi-monitor setup and consoles. Most gaming displays should, therefore, come with a variety of input ports, including but not limited to HDMI, D-sub, DVI and/or VGA. From the outside looking in, the ASUS VS278Q-P is simple like any other PC monitor, but this display has a certain allure to it. I love the circular baseplate and the thin support beam in a high gloss paint that looks good in ambient light. The display sits at an angle, so you don’t experience neck strain in long gaming sessions. Although this review is for the 27-inch monitor, there is a 21.5-inch monitor, a 23-inch monitor, and a 24-inch model. You can buy a standalone model a single angular mount if you only need a single screen, but you can choose two displays with a dual arm angular mount depending on your set up. Regarding intended uses for the display, its designed internally for gaming but you could set it up for any task. 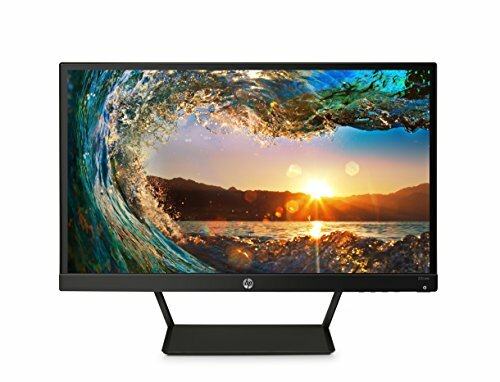 You can use this full HD monitor with 1920×1080 resolution for many intended purposes, say if you need a display for graphic design or photography, a simple change of settings and you’re in business. Since this is a gaming monitor, let's get down to brass tax and talk gaming performance. The LED-backlit LCD display and eight million to one contrast ratio garner rapid refresh rates and eliminate ghosting effects you’ll see in displays with lower performance settings. The high contrast enables of 16.7 million colors; it’s like watching a 4K TV at point blank range. Visual differences aside, when it comes down to the raw data of it, displays with about twice the number of pixels aren’t as visually appealing, twice the work delivers a minuscule visual improvement that can be subtle at best. 1920×1080 resolution in the highest frame rate can provide some incredible displays for PCs and consoles alike. If all these high-resolution displays feature freak you out a bit, no worries, there are standard control adjustments such as warmth, color temperature, brightness, volume, and aspect ratios, so it's suited for a variety of games that look better with higher resolution, and those that don’t. There is an issue that I noticed, the poor vertical viewing angles begin to show in the form of color compression rates, generally with brighter tones but it was enough to see. After a while, the screen may start to seem fuzzy due to the pixelization, so it does have a few setbacks but nothing’s perfect, and the pros outweigh the cons in this instance. Asus always had the best gaming monitor since I started gaming. The allure of cutting-edge oven masks the truth that first generation models can be filled with many imperfections, which isn’t a problem it’s just technology evolves quickly but makes for a tricky product at first until all the bugs are worked out. The HP 22cwa made the sacrifice of forgoing luxury and amenities, opting instead for simplicity and visual appeal in a humble exterior. This monitor measures 21.5 inches in diameter which displays a beautiful full HD display with 1920×1080 resolution. It has a 16:9 aspect ratio, which is slightly thicker at the bottom. The power button is located in the lower righthand corner of the screen with an unobtrusive Hp logo in the center of the bottom of the screen. It’s very lightweight, so if you’re into tournament play or LAN parties; this is an ideal, durable package that works without sacrificing resolution. 1080p resolution in a 21.5-inch screen is a massive improvement considering larger screens have fewer pixels per inch than the 22cwa. The display is crisp, and there's no bleeding of LED light through the filter while giving a colorful, vibrant display. The response times are a little slower than some of the higher end gaming monitors, but I tested it out with Shogun Total War on my PC as well as Ghost Recon Wildlands on PS4, and I felt its display wasn’t lacking in many departments. Regarding connectivity, there are several styles of ports like VGA, HDMI, HDCP to tether to various devices as well as a thunderbolt adapter to connect to Macs. There are no internal speakers, but there are audio inputs for connecting external speakers or headphones. Some would say the lack of 4K is subpar to more modern gaming monitors, but 1080p is the highest resolution in displays 25 inches or lower. It isn’t until you hit 27 inches or greater when 4K resolution begins to matter; the size doesn’t make the 22cwa any less of a work or gaming display. All in all, the HP cwa22 is a simple ISP display that requires little to no guesswork in its setup process. It’s bigger than a laptop screen but can double as a small HD TV in limited spaces. You can hook it up to a wide variety of devices, including Apple products with the proper adapters. Gamers everywhere can agree that when you’re just beginning to try out new hardware, simple is better, some higher end models are more advanced but vastly more complicated in navigation and troubleshooting. 25-inch monitors are more significant than laptop screens and skirt the edge of 4K resolutions, so you’re getting a solid visual performance for entertainment and gaming alike. The specifications of the display surpass the specifications for enhanced graphics and picture quality required for PC gaming but visually stunning for consoles. 1440p resolution and a four-millisecond response time limit ghosting in fast-paced gaming, so it’s optimized for video games. Consider the visual speeds with the built-in speakers can make for an immersive experience. It’s an excellent alternative to larger, more expensive monitors that don’t offer a better visual experience. A 25-inch monitor is incredible with full angle viewing, no matter which angle you view the display from, it looks like a natural angle that you would view without any visual distortion. Graphics and colors are very consistent with the monitor's performance, the brightness can be a little too vivid so might have to adjust the angle you view it from, but the color quality isn’t sacrificed. All colors across the spectrum are vibrant bright and dark bolds with Acers CrystalBrite Technology which gives a unique color intensity that’s specific to the G7 Series. Another G7 feature is the Blue Light feature that allows the user to decide how much blue light they want to be filtered. Blue light causes flickering in screens which can strain your eyes and mess up your day and night cycle so the more control over it, the better. This review is specific to the 25-inch model, but I want to make a side note and mention a few details about the various sizes and their display features, there are different options to choose from based on your budget and requirements. You can choose between High Definition (HD) in 19.5 inches. Full High Definition (FHD) in 21.5 inches, 23 inches, 24 inches, and 27 inches. FHD at 21.5 inches, 23 inches, 24 inches, 25 inches, and 27 inches. The technology in this monitor is centered around AcerEcoDisplay designs. The display is built with eco-friendly materials, it is 100% RoHS compliant, and the backlighting helps conserve energy thus reducing energy costs in the long-term. This doesn’t affect performance in any way, but it goes to show the shift to environmentally friendly products is entering all industries. I’m going to be honest so I don’t come off as biased, I love strategy games. I say this because the BenQ 24-inch gaming monitor is one of the more impressive strategy game displays I’ve seen. Depending on the play style, strategy games often cover vast landscapes. The key to massive scenes is the balance between color, contrast, and graphics all displayed on the perfect visual backdrop. Moving across so many colors and textures could introduce tracking issues, but everything ran smoothly across the screen, especially in rainy weather combined with gunpowder smoke in the game I was playing. I played the same game on my 15-inch laptop, and the visual difference with a more substantial 24-inch monitor doesn’t even compare regarding resolution. There are internal two-watt speakers but adding external speakers is your best option if you want the most immersive audio-visual experience. The internal speakers are fine, but even with the volume at full blast, it is quickly drowned out by any environmental noise. The visuals are bright and vibrant, and the audio is okay, the responsiveness and graphics are a little lower than what’s considered the technological norm, coming in at 9.8 milliseconds. Not a big deal for slower-paced strategy games but not ideal for fast-paced FPS shooters. Even though it was slower than average response times, it still displays 1080p at a 60-fps refresh rate, making for a very smooth visual experience. There is one glaring issue, the lack of USB ports. It can be a deal breaker for some who require excellent connectivity, but there are three different display ports to choose from HDMI, DVI, and DisplayPort. To use USB devices, you’ll need to use adapters to change inputs to use another media device. The manufacturer has recently discontinued 1080p high definition display, but it is still available for sale in certain stores and by some online vendors. 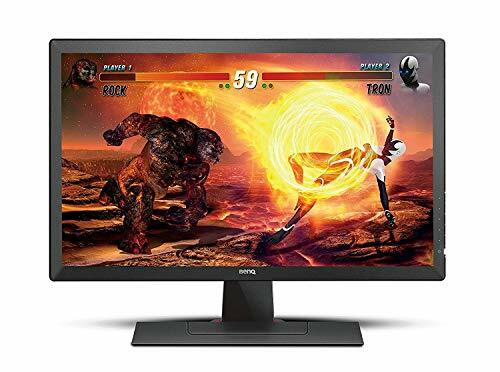 It still hasn’t outlived its usefulness; the monitor is still prevalent in the strategic gaming genre as well as being an affordable HD display with high performance. 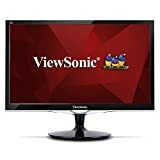 The last monitor on our list comes from a company that’s well known for its ultra-high-speed gaming monitors, high contrast LCD screens, and integrated stereo speakers, the ViewSonic VX2252mh. Right off the bat, you take one look at the display, and you’ll see a sleek looking display with a glossy black finish, supported by a thin straight shaft on a thick round base. At the bottom of the screen, there’s a big clear plastic piece that sticks out a little further than the rest of the screen. Once the monitor is set up and turned on, you’re met with a very bright and vivid image with sharp contrast, especially for a 22-inch monitor. The response time is incredibly quick at two milliseconds, making it very good for both PC gaming and console games. There aren’t many auxiliary features like USB ports, and the two-watt speakers aren’t very loud, but a decent headset would benefit this monitor quite nicely, but visually speaking, it’s a gorgeous display. 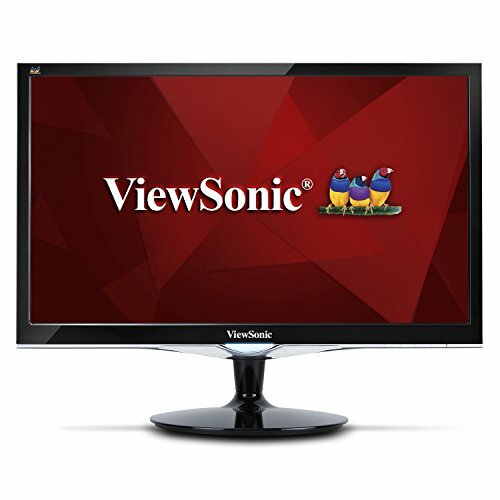 If you’re looking for a multifaceted display that can switch between gaming and professional use, the ViewSonic works very well. If you need to change the role of the monitor, you can change the settings manually, or you can use mode settings instead for quick adjustments. Visually speaking, the monitor has a resolution of 1920×1080 with a 50 million to one contrast ratio delivers greater contrasts and sharper images. Combining the MEGA Dynamic Contrast software with the visual performance standards, visual imagery shows up in great detail. Some games can appear too light or too dark depending on the displays specifications so it may require some manual adjustments, but all in all, game mode is a more accessible, more convenient changeup. Game Mode is a very convenient setting adjustment that automatically changes the level of brightness and contrast depending on the lighting and graphics of the game you’re playing. This monitor comes in two sizes depending on the intended use of the display. The 24-inch model is ideal for gaming in immersive experiences and more excellent details, but the 27-inch model would be best for high-speed gaming because the larger the screen, the quicker your reactions will be in contrast. Connectivity is simple, HDMI only, which can be used to connect with a variety of HD devices. Even if your multimedia device isn’t HDMI enabled, there are adapters available for a wide variety of HDMI connections, so the opportunities are limitless. Conclusion: Which is the best gaming monitor? In choosing the best gaming monitor, you have to be well aware of the technical side of the specs of each product in order to choose one that will best suit your personal needs and improve your gameplay performance. For this reason, out of all the displays reviewed, we simply must give an encore to the ASUS VS278Q-P 27-Inch Gaming Monitor. The display is not only award-winning but is also well-known for being an excellent gaming choice. They are held to a high standard and have a high-quality that make visuals stunning in terms of color, sharpness, and other specs. The fast response time makes it the perfect gaming monitor, with the vibrant images ensuring that not a single detail does unnoticed. It is also VESA mountable and has numerous features that aid in gameplay, making for a better and more immersive gaming experience at your peak performance. On top of all that, the display has extra features that make it a great one all around, not just for gaming, like the real-size document viewing. We hope that this best gaming monitor guide has helped you narrow down your choices, or at least given you a good idea of what you should be looking out for in a gaming monitor. Game on!